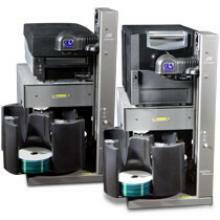 Rimage AutoPrinters employ dependable Rimage robotics for robust disc printing needs. Produces photorealistic images on CD, DVD, and Blu-ray Discs™ in less than 60 seconds. In addition to delivering the highest print quality in the industry, the Everest 600 prints discs that won’t smudge, scratch, or fade. 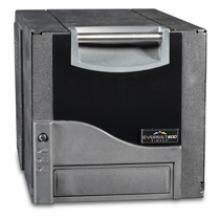 It is available as a stand-alone printer for manual operation or an AutoPrinter for automatic, unattended operation. 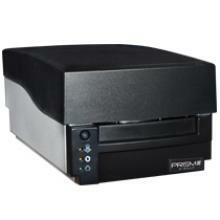 High speed printer used to print monochrome information on CD, DVD, or Blu-ray Discs™. The Rimage PerfectPrint technology enables registered printing on your original, silk-screened media. The Prism III is available as a stand-alone printer for manual operation or as an AutoPrinter for automatic, unattended operation. 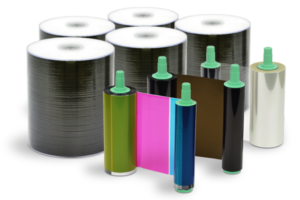 Rimage CDs, DVDs and Blu-ray Discs™ are manufactured to the tolerances required for robotic systems and the high-quality, on-demand performance you expect. Guaranteed performance with matched, pre-packaged quantities of discs and ribbons or ink cartridges. Designed to work with Rimage systems to deliver consistent print quality at value pricing.